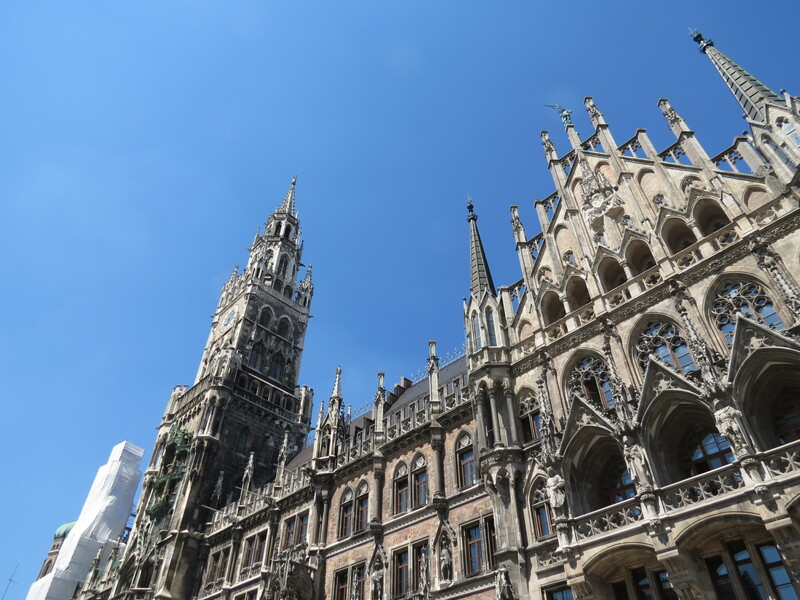 Munich, just like Berlin and Dresden, was such a pretty sight. 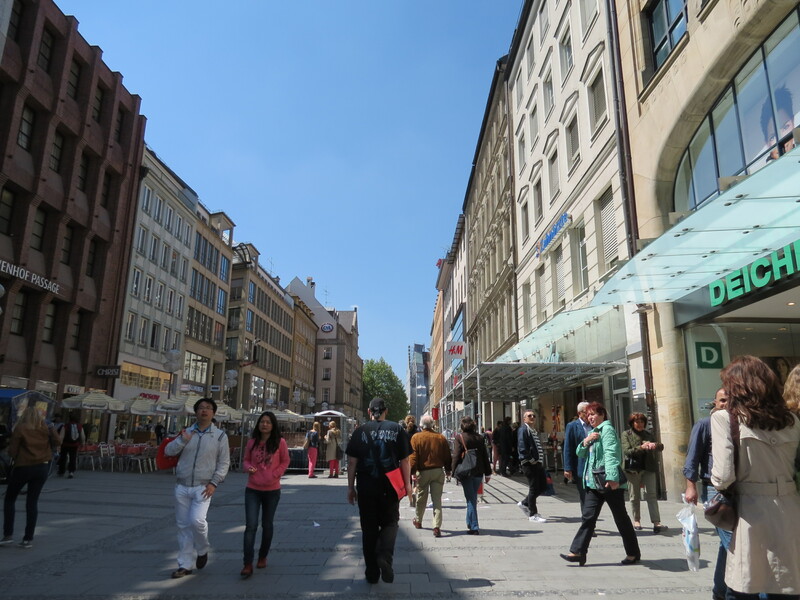 Although there were relatively more people than in Dresden, the roads were still so clean and you could just sit back, relax, and enjoy the fresh air while simply looking around and being amused. Kyra and I lost the others after shopping, so we decided to just venture out on our own and find a place where we could grab an afternoon snack. 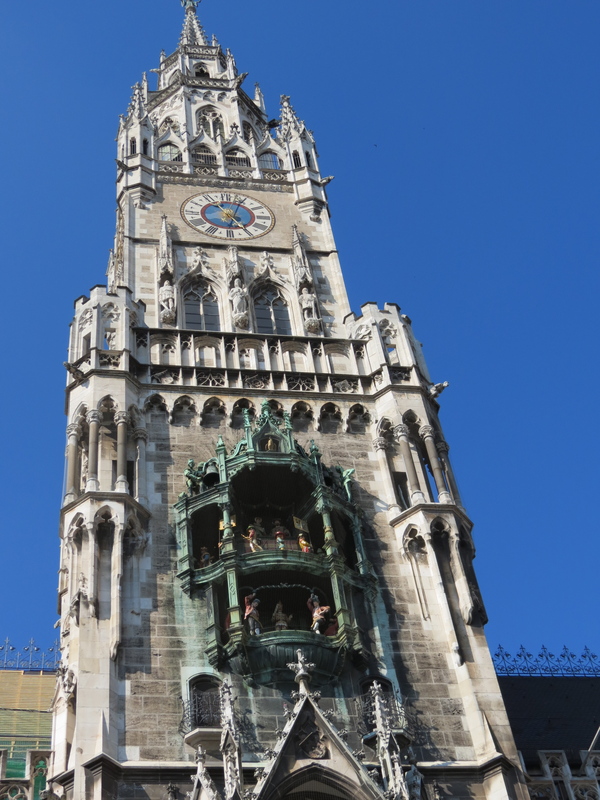 We found a nice place about 15 minutes away from Marienplatz. 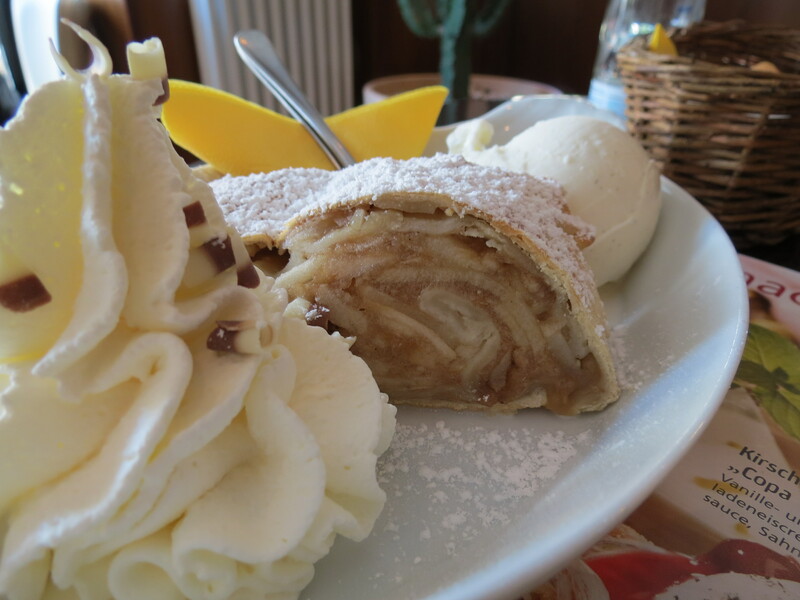 Their apfelstrudel was divine! I enjoyed every bite and even wanted to order another one, but figured I shouldn’t since we were having dinner at a beerhall later that night. 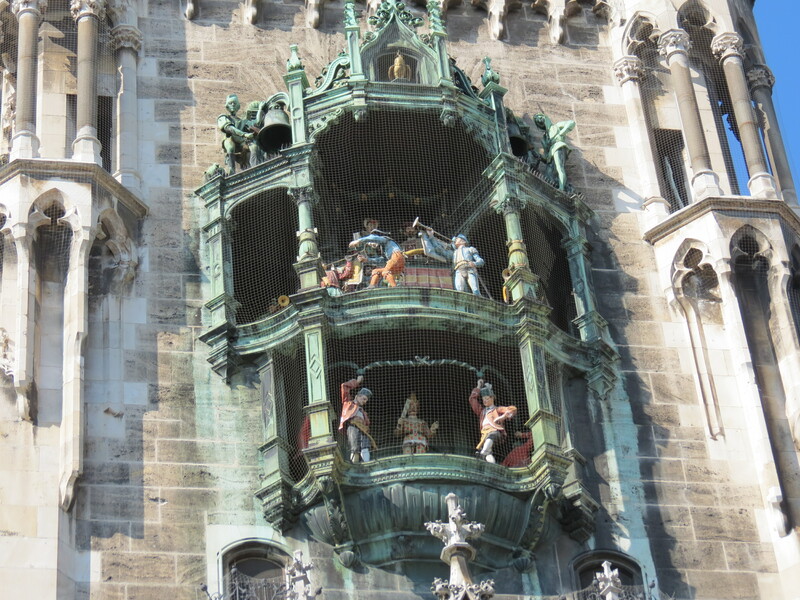 Afterwards, we met up with the rest of the group in Marienplatz and waited for the Glockenspiel to start. Our tour manager, Sam, had raved about it and deemed it as “the most exciting show in the world.” Apparently, he was being sarcastic and it really wasn’t anything but a couple of bells and life-sized figures re-enacting stories from the 16th century. It does sound like something, but after being hyped up as the most exciting show in the world, we were all disappointed, although we did end up laughing the show away and blaming Sam for getting us all excited for it. 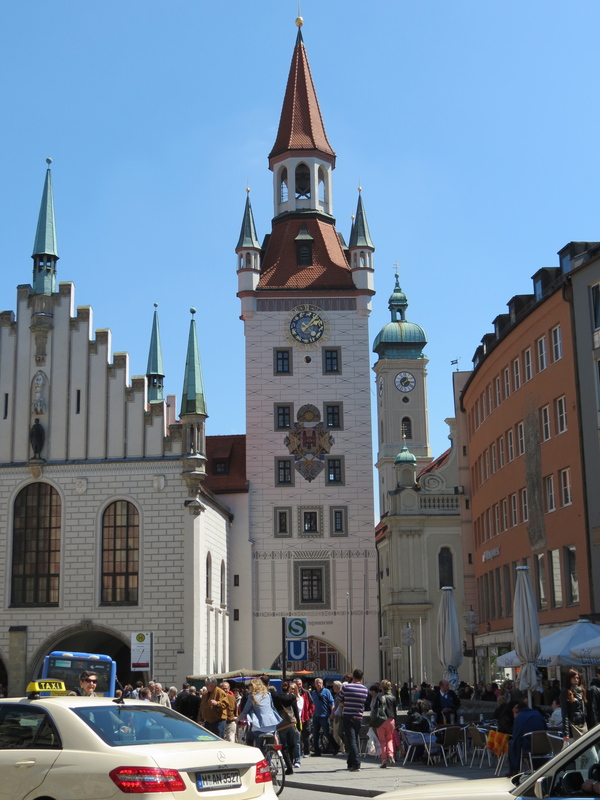 All in all, Munich was a really beautiful city that had so much to offer. I regret spending time shopping though, when I should have seen more of the city instead. My other tour-mates who had gone sightseeing showed me the photos of other parts of the city they got to explore, and I was so jealous that I asked Fran never to show her pictures from Munich to me again! 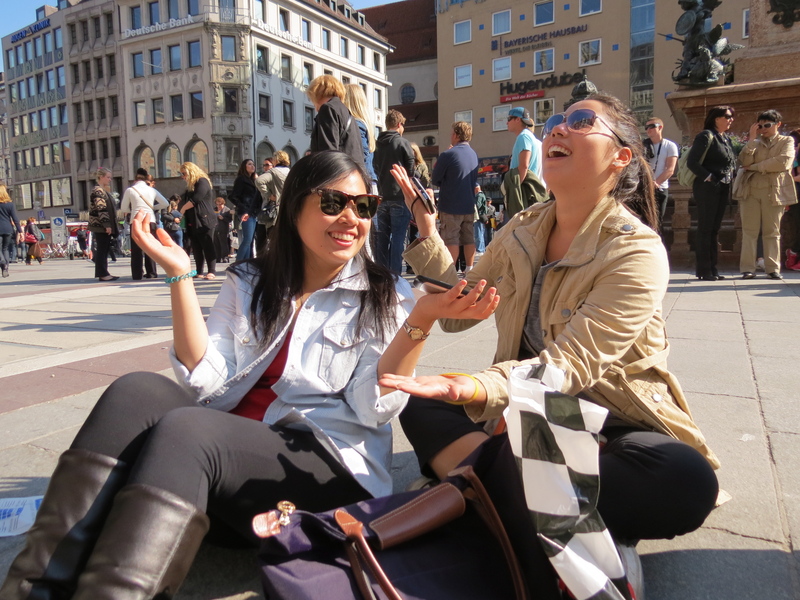 Lesson learned: When in Europe, don’t shop; EXPLORE.